“You ate what?” Maria-san asked with surprise. It’s true that venison and wild pork can be, well, gamey, but that’s usually the result of poor handling and preparation. If stored and cooked right, the meat can be just as tender and tasty as beef or pork, and far healthier; venison and wild boar contain just one-third of the fat, cholesterol and calories of their domestic counterparts. 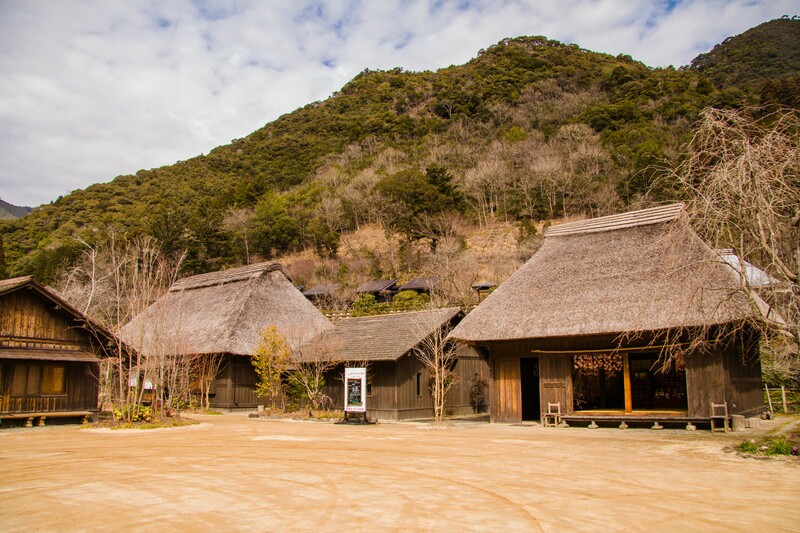 This, Austin and I discovered on a day-trip to the remote mountain village of Nishimera in north-western Miyazaki. For the month of February, the town is hosting a gibier festival to promote the wild game industry and its cuisine. Derived from the French, jibie (ジビエ) is used in Japanese to refer to the meat of deer, boar, bear and pheasants. Croquettes – a Nishimera speciality. Six participating restaurants in the village (and one in Miyazaki City) have prepared special menus that contain venison, wild boar, or both. For as little as 640円 ($5.70), you can sample a wide variety of modern and traditional dishes, from ramen to nabe to hotpots and stews. Gibier festivals are becoming increasingly popular in cities across Japan as more and more restaurants start to serve wild game dishes. Since the extinction of the Japanese wolf, deer and boar in Japan have faced no natural predators. In recent years, their population numbers have soared to 3 million and 1 million respectively, causing Japanese farmers up to 23 billion yen ($205 million) in losses annually. Since 1970, the number of hunters in Japan has decreased from 500,000 to just 105,000, of which two-thirds are 60 or older. In 2014, the Ministry of Environment amended Japan’s Wildlife Protection and Hunting Management Law to allow prefectural governments to certify companies and nonprofits as hunting entities if they meet certain conditions. In the same year, schools in Okayama started serving wild boar and deer as part of their lunch program. The government has also worked actively to recruit young people, particularly women, to hunt. The deer and boar hunting season in Kyushu runs from November 1 to March 15. 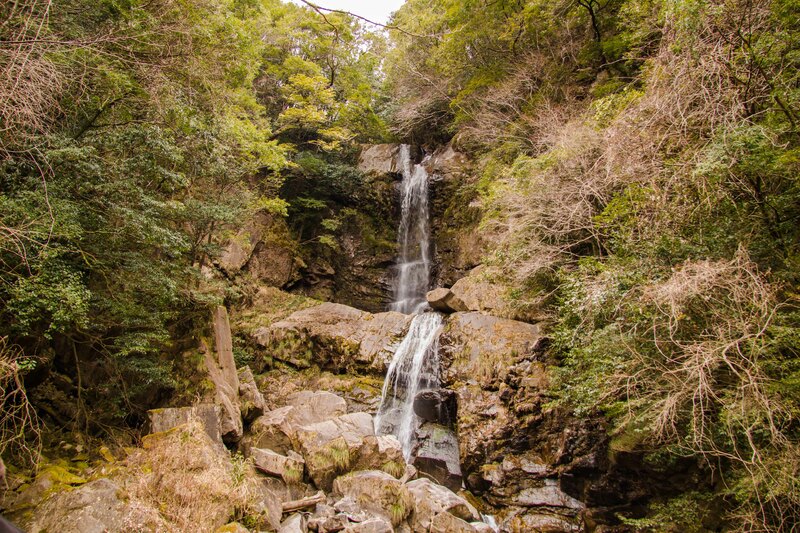 During these winter months, wild game meat is plentiful in mountainous areas like Nishimera. Our first stop was for lunch at Ogawa Sakugoyamura, a cultural centre below the village’s renovated castle. One of the huts had a hina-ningyō display up too; a doll festival is running concurrently with the jibie festival until the end of March. We settled on wild boar miso soup, which was served with rice, salad and pickles, and a tray of croquettes – another one of Nishimera’s specialities. The food was delicious, which is why I was so incredibly, deeply bummed when I threw it all up just 30 minutes later. After stopping at a nearby waterfall, we had decided to drive up to a hiking trail we spotted on the town map that would take us to the peak of Mt. Amatsutsumi. But due to a lifelong friendship with motion sickness, I don’t suffer bends gladly. We left my lunch on the side of the road and while I recovered horizontally in the car, Austin went to explore the peak. Two different trails lead to the summit which can be ascended and descended in about 40 minutes, but they are steep and the view is spoiled somewhat by two, giant transmission towers. 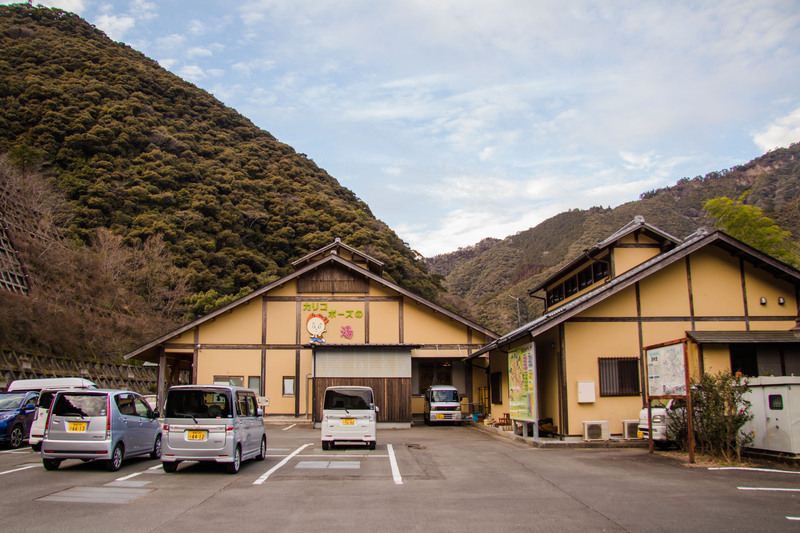 We headed to the local onsen next where, for just 400円 ($3.55), you can enjoy 3 different indoor baths, one outdoor bath and a sauna. There are also a couple of massage chairs in the lobby (200円 for 15 minutes). In the attached souvenir store you can purchase a variety of local goods, as well as special game products, including wild boar curry and deer jerky. When the adjacent restaurant opened its doors at 5pm, we decided that we had spent enough of the afternoon for it to be dinner time. We feasted on deer carpaccio, wild boar croquettes and venison stew. This time, I kept it down. 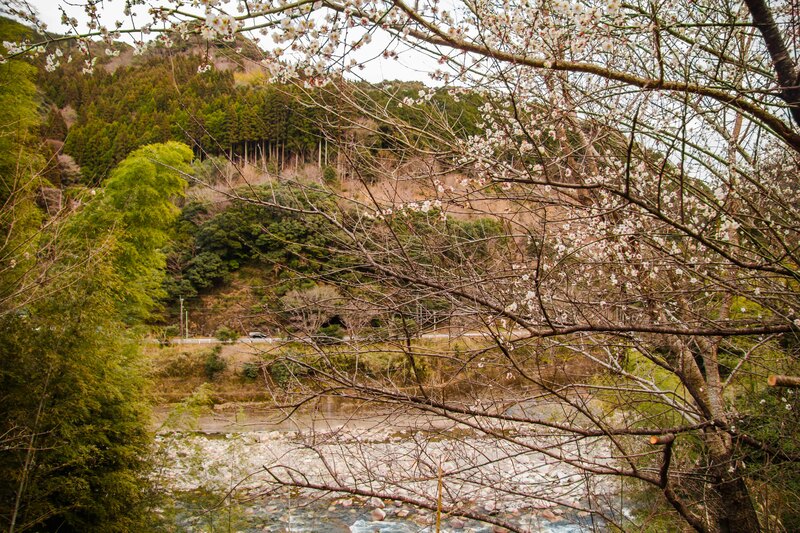 The Nishimera Gibier Festival is on until February 28. For more information, click here, or check out the map below for details in English.